Corrugated pipes are plastic pipes that feature an alternating pattern of peaks and ridges that provide the pipe with extra strength and stability. Often used in sewers, tunnels and under water, as well as for other applications, corrugated pipes come in a huge variety of sizes, sometimes nearly as large as a person. To get a good, tight seal on the particular pipe you will make use of the bell-spigot joining system on the pipe ends and a special device for pushing them together without causing any damage to the pipes. Learn how to seal a corrugated pipe. Lower the bell end of the pipe assembly into the trench and position it according to your needs. The bell is the end of the pipe with the wide collar that fits round the smaller end of the other pipe. Wipe the inside of the pipe bell and apply lubricant to it using a cloth. Make sure there is no dirt on the bell before applying the lubricant. Peel off the protective layer around the spigot end of the joining pipe and lubricate it on the outside. The spigot is the end of the pipe that fits into the bell opening of the other pipe. Line up the marks around the spigot with the marks around the bell, and push the spigot into the bell. Make sure that the spigot is firmly set in the bell. Insert the installation stub into the open end of the spigot pipe. The steel bar inside should be aligned horizontally. Stick the pole into the ground right in front of the stub and hold it vertically. Push the pole against the steel bar until the bell seals around the spigot. You can also use the bucket of a backhoe to push the stub and seal the pipes together, if you have access to one. 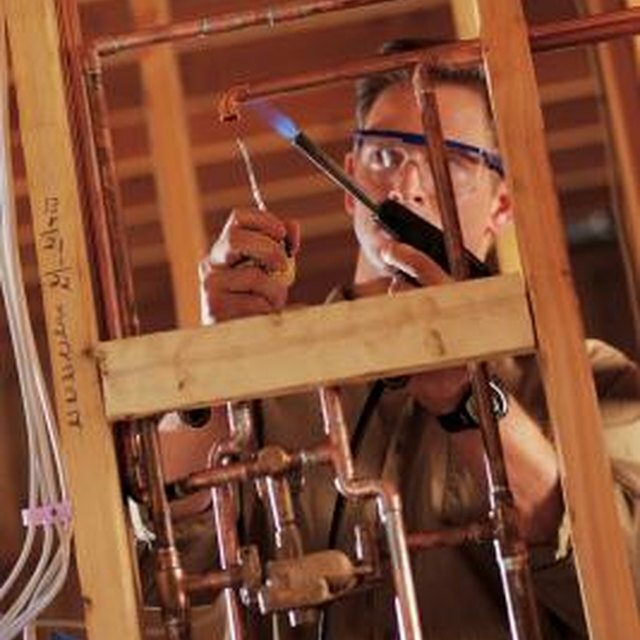 Do not let the spigot end of the pipe touch the ground or any other surface once you apply the lubricant.